Look after your wooden furniture and surfaces and they’ll continue to look great for you for many years. Give them the respect they deserve with this eco-friendly spray; good for them and the environment. The Method Wood Polish Spray product ethics are indicated below. To learn more about these product ethics and to see related products, follow the links below. Smells gorgeous and does the job well. As a great lover of marzipan adore the almond smell this polish leaves, may not be to everyone's liking but definitely for me. Leaves a lovely shine too, especially on my large pine fireplace. Have mainly wooden furniture and a lot of wooden objects so perfect. Again would recommend and quality good. Q: is th wood polish spray suitable for wooden floors or only furniture? A: Hi, apologies for the delay in response. This wood spray is suitable for flooring as well as furniture, but it is not suitable for waxed wood. I hope this helps. Robyn. 7 out of 7 found this question and answer helpful. 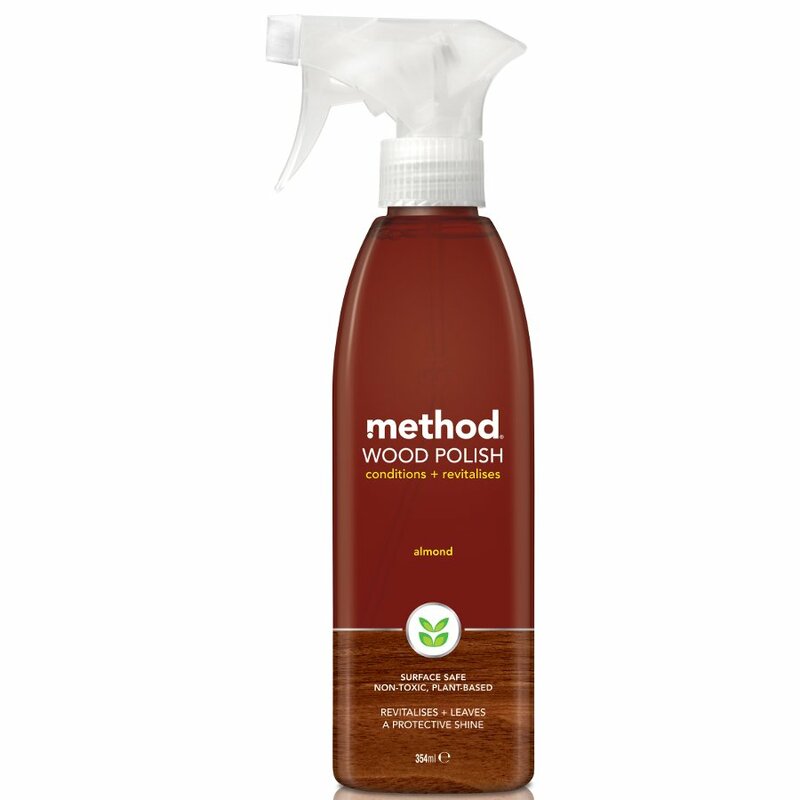 Method was created as a collection of eco-friendly household cleaning products at the forefront of the green cleaning revolution. Tired of sprays, liquids and washes created from potentially harmful chemicals, Method’s founders Adam and Eric decided that there must be a cleaner way to clean. The product range that they have developed is all naturally derived; non-toxic, paraben-free and biodegradable, and they even look good. Method believes strongly in the importance of green living, green energy and sustainability for living a more healthy lifestyle, and they’re also big advocates of the anti-animal cruelty movement, Method are tested by people, never on animals. You can be sure that the products you clean with are helping to save the world in every way they can.